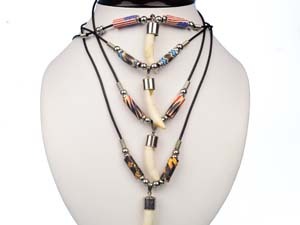 These are necklaces made from real American alligator teeth. They come with and without beads. 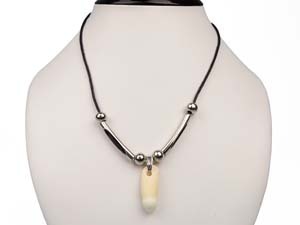 The simple style has silver beads and the teeth are drilled with a silver cap. 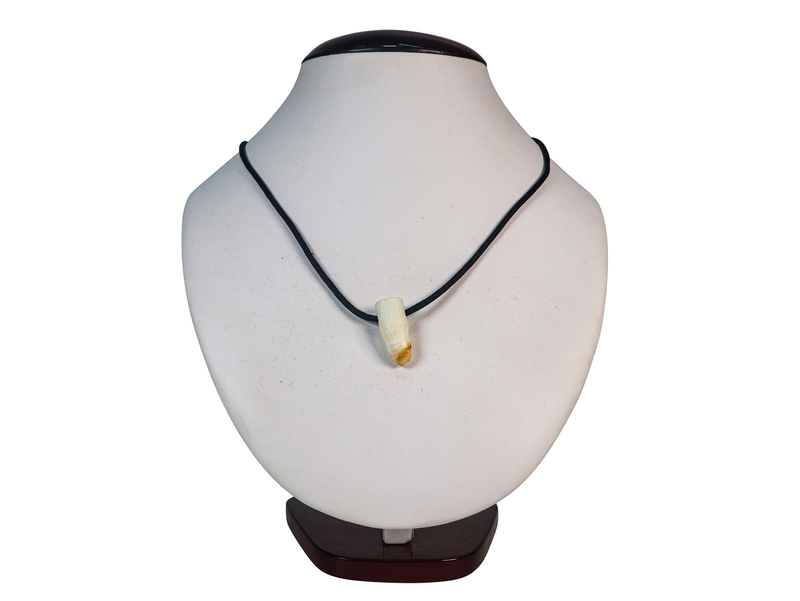 The fancy style come in assorted color beads and the teeth are drilled with a silver cap. 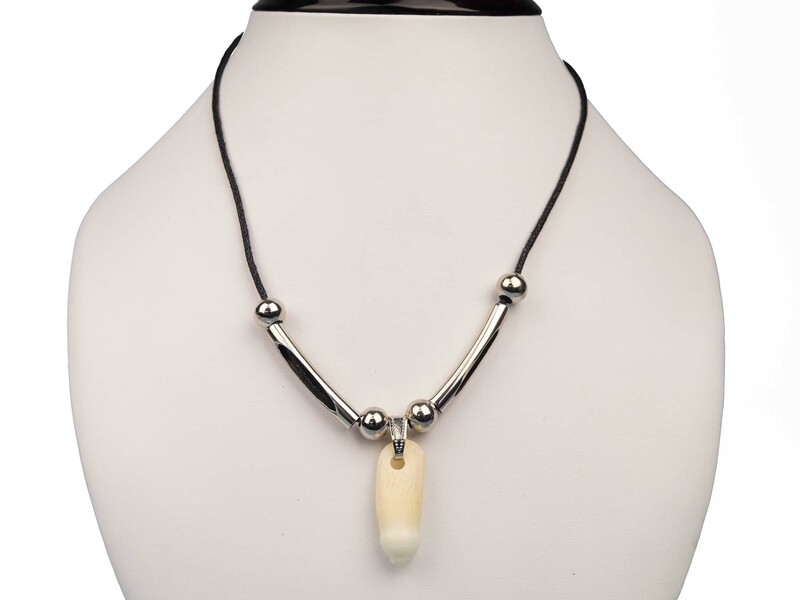 The alligator tooth necklace with NO beads comes on a black cord. It measures 17" long, with a 1.5" long by 0.5" wide tooth, and weighs 0.1 oz. The cord must be tied together in the back; there is no clasp. Genus and species: Alligator mississippiensis. Ranch. American alligators in the wild are protected under the U.S. Endangered Species Act. All of our alligator products come from ranches and are not taken from the wild. Chichester is registered with New York state as an authorized retailer, wholesaler, and importer of alligator products. The teeth are from alligators that have been ranch-raised for food. The alligators were not killed just for their teeth. Not for export in small quantities due to CITES regulations.